When Chris and I formed Room 118 Solutions one year ago, we didn’t really know how we were going to run a business from our home offices. We didn’t even know what was involved in running a corporation (an S-corp, to be exact), from a business perspective. Over this past year, we’ve fallen into a nice groove using a combination of web applications that has made everything from collaboration to running payroll a breeze. We’d like to share them with you, as they mostly apply to all small business teams. In Part I, I’ll cover services we use to work with customers; in Part II, I’ll cover services we use internally. Why we love it: We get the power of a Google account, except @room118solutions.com. This one is a no-brainer, if you have a domain and need e-mail, Google Apps is the way to go. The Google Docs suite is, well, sweet! It gives us basic document, spreadsheet, and drawing creation/editing abilities, in the cloud. But where it really shines is in real-time collaborative editing. When drafting a proposal, or a contract, for example, Chris and I can work on the same document, together, in real-time. We can even see where each other’s cursors are, annotate specific lines, chat, and see a revision history – way cool! As if that wasn’t enough, mail, contacts, and calendar can all be tightly integrated into every mobile OS (especially Android, of course). That gives you enterprise level mobile integration for free! You can even collaboratively edit documents from a mobile browser. 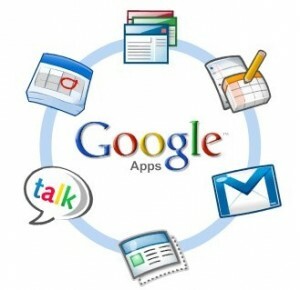 Google Apps rocks, go get it now. Wait, no, finish reading this post first. Caveat: The free account offers no support, and trying to contact Google without a support contract is impossible; luckily you’ll probably never need support. If you do, the pay account includes 24 x 7 support. What we use it for: Invoicing, expenses, and time tracking. Caveat: Freshbooks recently changed their pricing structure, and now only allows staff accounts to be added to their most expensive package. Very small teams could probably share an account, and still benefit from most of Freshbook’s features. We’re lucky enough to have a grandfathered account. Why we love it: It’s project management from 37signals, you know, the guys who are rewriting the book on how business is done in the information age. It’s the best no-frills project management app out there. Collaboration tools are always important, and even more so if you’re running your business in the cloud, and not in a brick and mortar office. Basecamp lets you easily start message-board like threads to discuss your project; create, manage, and assign to-dos; schedule milestones; share files; and track time. It’s easy to use, and shelters your inbox from the barrage of massive e-mail threads that inevitably occur if you’re working on a large project. 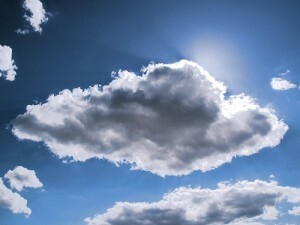 This should get you well on your way to efficiently working with your customers from the fluffy comfort of the cloud. Stay tuned for Part II, when I talk about the services we use internally to manage our business. This entry was posted in Business and tagged 37signals, basecamp, business, cloud, freshbooks, google apps. Bookmark the permalink.